Corsair has launched a new limited edition DDR4 memory range. The Corsair Dominator Platinum Special Edition Torque DDR4 RAM is inspired by the power, speed and design of vintage hotrod cars. 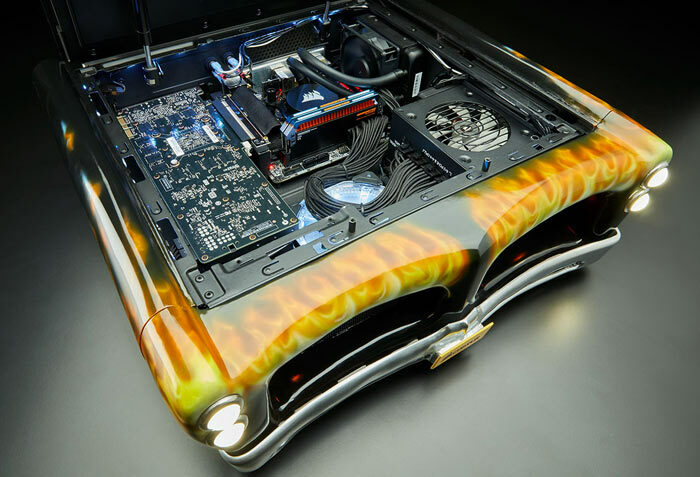 The high performance memory chips under the bonnet are complemented by a brushed black aluminium heatsink, built-in lighting, orange accents, plus a unique heat treated top bar. Let's consider the new product appearance first. The most interesting aspect of the design, I don't recall seeing before, is a heat-treated finish to the RAM top bar. If you've ever heated metal and observed bluing (with oil) and other colour effects, this will be familiar to you. At the periphery of the bar there's a nice rainbow effect which isn't perfectly uniform and each memory module is thus 'one of a kind'. The memory modules are individually numbered. Elsewhere the memory module design adds hotrod inspired built-in lighting and orange accents but the bulk of the aluminium heatspreader returns to classic Corsair design being made with brushed black aluminium. Furthermore, the modules use Corsair DHX cooling tech design for lower temperatures. 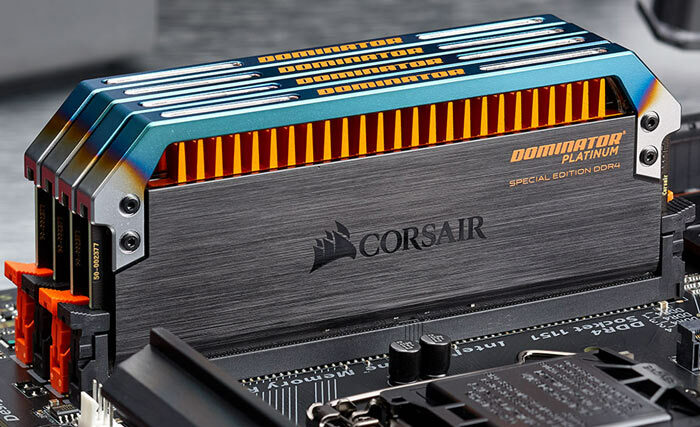 Corsair has created the Dominator Platinum Special Edition Torque DDR4 RAM kits to be fully compatible with the latest Intel X99, 100-Series, and 200-Series motherboards. The firm claims to have individually hand-screened the modules, which are constructed using a 10-layer PCB and provide "superior signalling for greater overclocking potential". All the kits are sold as 3,200MHz rated but Corsair assures us that they can be "safely overclocked to at least 3,600MHz." Intel XMP 2.0 compatibility should ensure you get the best safe speeds. Corsair Dominator Platinum Special Edition Torque DDR4 RAM is available (in limited quantities) right now. The 2x16GB kit is priced at £380, and the 4x8GB module kit is priced at £430 for UK dwellers. Eh, I missed that… or my subconsciousness missed that. No luck then.